Australia says it is considering granting a Saudi who fled from her family refugee resettlement based on referral by the U.N. The Department of Home Affairs confirmed in a statement on Wednesday that the U.N. High Commissioner for Refugees had referred Rahaf Mohammed Alqunun to Australia for consideration for refugee settlement. Alqunun arrived in Bangkok on a flight from Kuwait on Saturday. After first being detained by Thai authorities, she refused to board a flight back to Kuwait, barricading herself in a hotel room. She publicized her case via social media, saying she feared for her safety if made to return home to her family. She was later placed in the care of UNHCR workers while her bid for refugee status was considered. 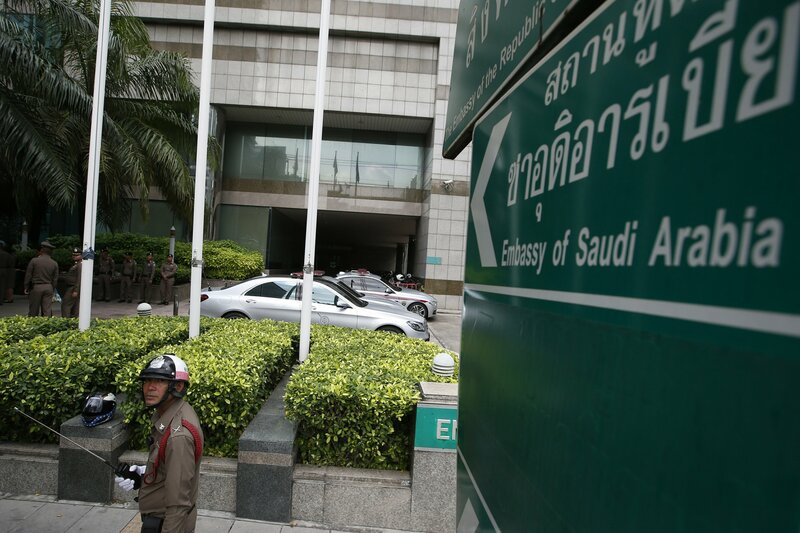 Thai police say a Saudi woman who fled her family to seek asylum abroad has refused to meet with her father in Thailand. Thailand’s immigration police chief says Rahaf Mohammed Alqunun’s father and brother arrived together in Bangkok on Tuesday but Alqunun has refused to meet them. Alqunun arrived in Bangkok from Kuwait late Saturday but was denied entry by Thai officials. Following urgent pleas for help she made over Twitter, she has since been allowed to temporarily stay in Thailand under the care of the U.N.’s refugee agency that will determine her protection claim. Immigration police chief Maj. Gen. Surachate Hakparn says U.N. officials expect that the case will be concluded in a few days.